Wearable technology and good style rarely have an opportunity to live in the same space. The Leather Wristband offers you such an opportunity. 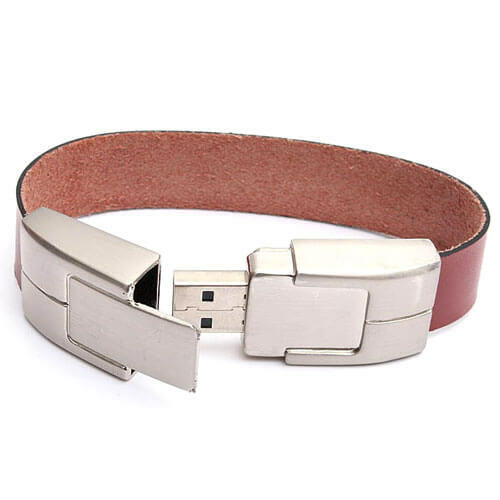 If your brand and clientele demand promotional products that deliver your logo and data in the most exquisite fashion, this is the custom flash drive for you. Rest assured, no animals have been harmed in making this flash drive. The faux leather brings a real feel to the band and a real metal buckle secures it on the wrist of your end user.